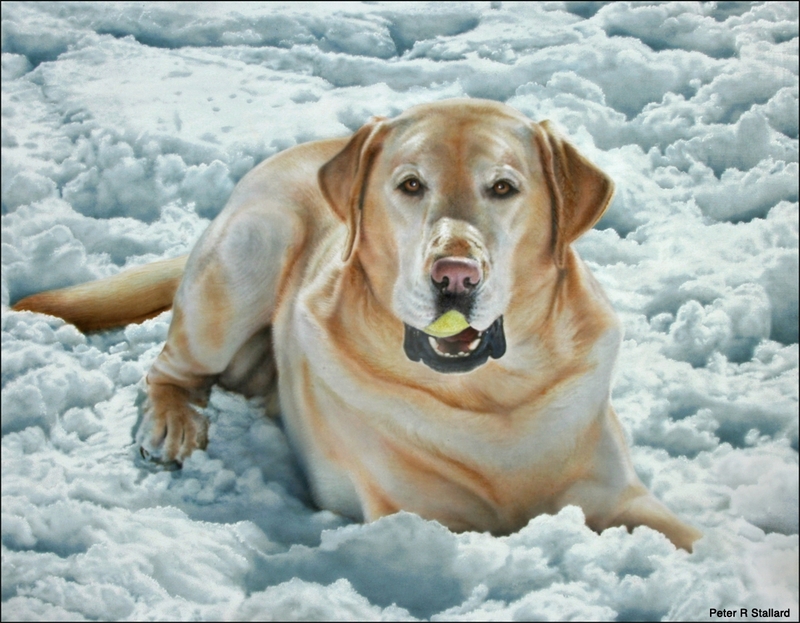 Airbrush portrait of Buckie playing with tennis ball in the snow. Acrylic on gessoed board. Whooof! Good boy... syply perfect!Compliments! Exellent a terrific piece of Art!